Named a Top Ten Historical Novel of 2016 by Booklist! For fans of Philippa Gregory and C.W. Gortner, Edward Charles nimbly weaves history and drama in this captivating novel about one of the world’s most notorious families and Maddalena, the real-life, blue-eyed, black slave, who bore Cosimo de’ Medici a son and saw him rise to the position of cardinal. Now late in life, Maddalena finds herself committed to a convent as part of a scheme to protect the Medici bank from ruin. But as the months go by, and no one comes for her, Maddalena’s faith in Cosimo begins to wane, and with it, her confidence in her own worth. Has she been duped and discarded? When Maddalena seeks out an abbess to share her story, it seems a way to find peace with her turbulent past. But the abbess has objectives of her own, and Maddalena realizes too late they may not be on the same side. 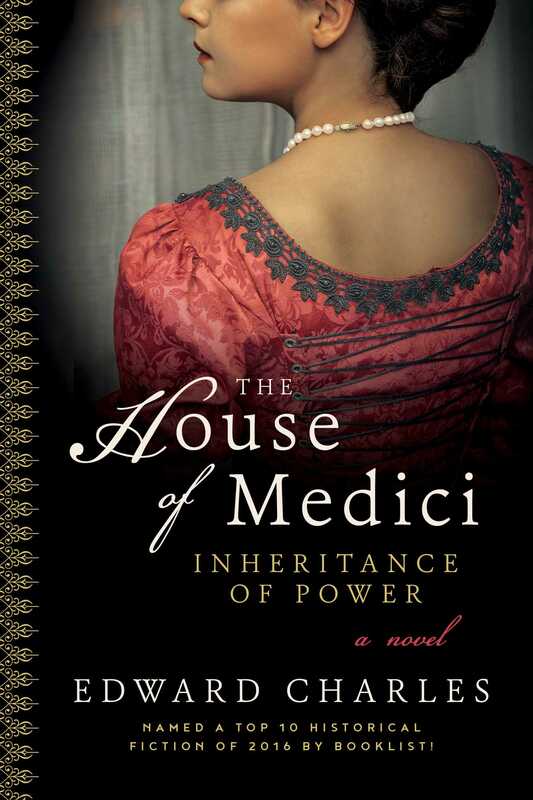 With House of Medici: Inheritance of Power, Edward Charles brilliantly depicts the intrigue, glamour, wealth, and deception of fifteenth-century Florenceand one woman’s thankless devotion, upon which the foundation of the famed Medici fortune was built.